WHAT CAN I USE LILYPAD FOR? 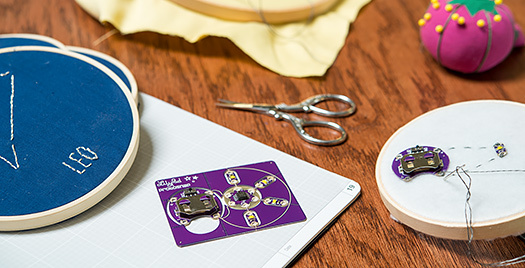 Sewable electronics have applications in a variety of creative fields, from traditional fiber arts, quilting, crafting, costuming and cosplay to engineering, design research, and prototyping, and even computer science. 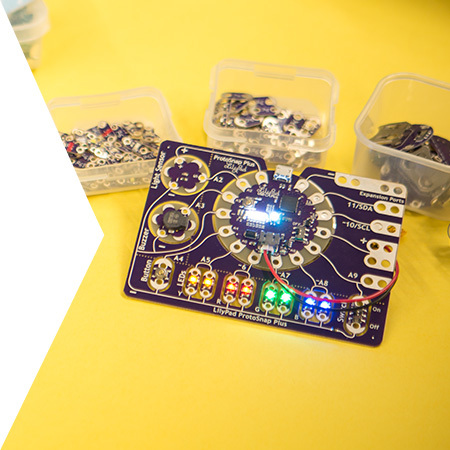 Crafting with electronics provides an innovative way to add new levels of interactivity to your project. 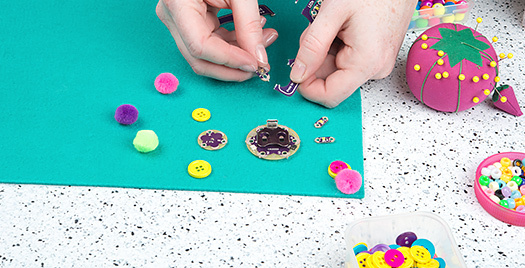 LilyPad is an easy way to include lights and sound in a wide range of crafts! 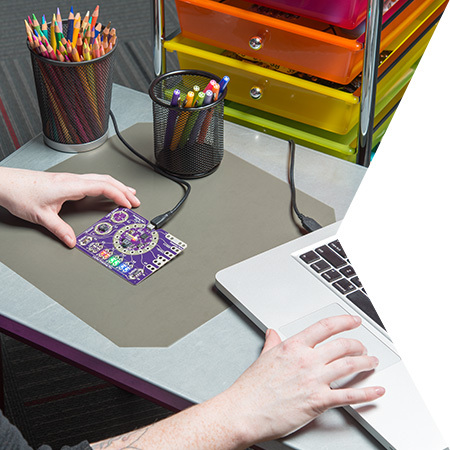 Art/Design: LilyPad is designed with creativity in mind. 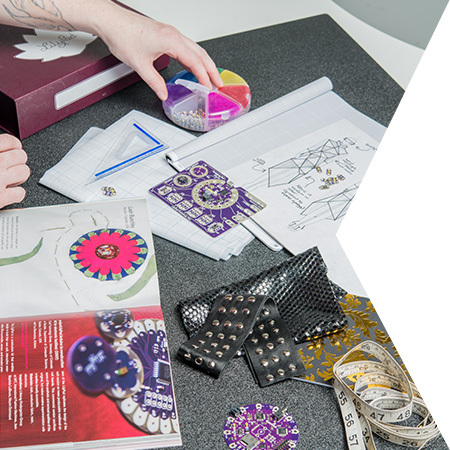 From art installations to high fashion, incorporating electronics into your design will make it stand out from the rest. The first step in success with any project is testing and making changes. 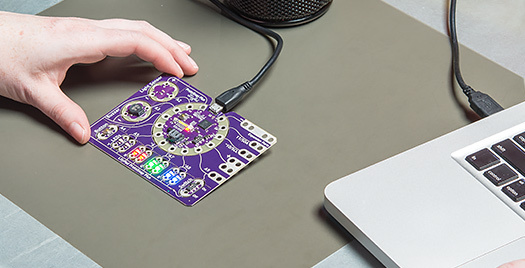 LilyPad uses Arduino programming to allow anyone from beginner through expert to alter their design quickly and easily. The LilyPad system can be used for problem-solving applications from assistive technology to interactive data-logging. Sewable flexibility opens up a wide range of possibilities that soldering boards just can't match! 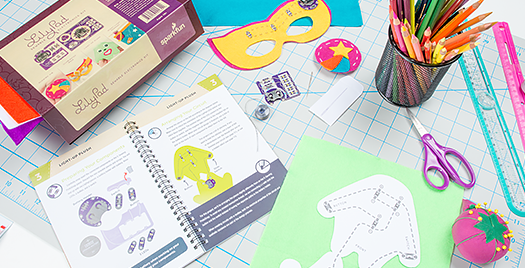 Are you an Educator Interested in LilyPad? 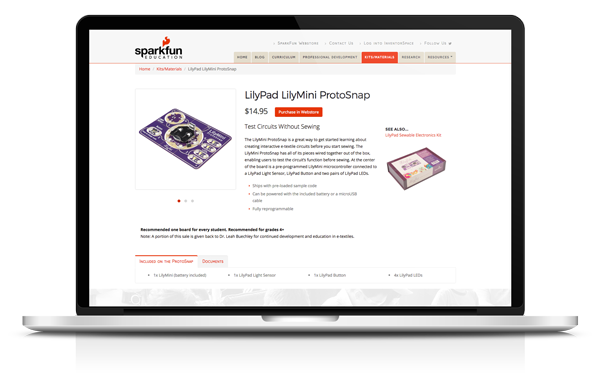 For an easy way to introduce students to electronics and engineering head to our LilyPad for Educators site for more information. 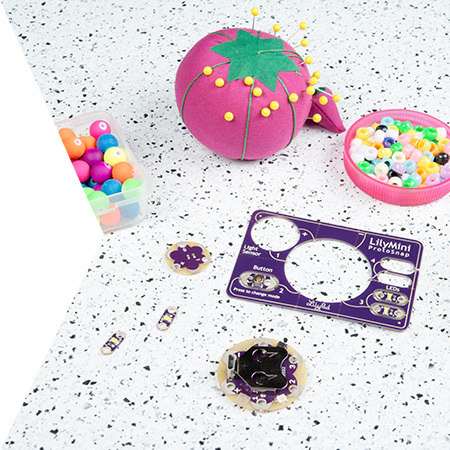 The LilyPad line provides a wide range of options for creating sewable electronics projects that meet content-area standards as well as STEM/STEAM goals and expectations.